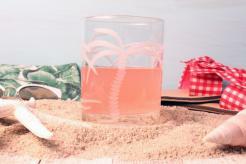 This beautiful glass holds your favorite cocktails - neat or on the rocks. 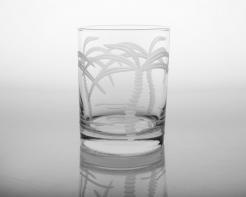 Ringed with etched palm trees. Hand wash.